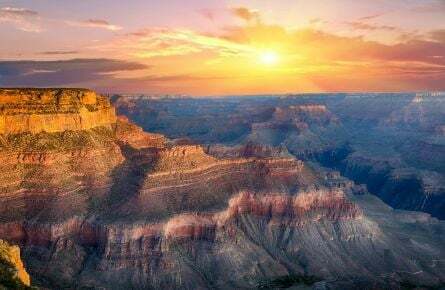 Since 1901, The Grand Canyon Railway has enchanted millions of people from all over the world, taking them on a journey into the heart of one of the Seven Natural Wonders of the World – Grand Canyon National Park. 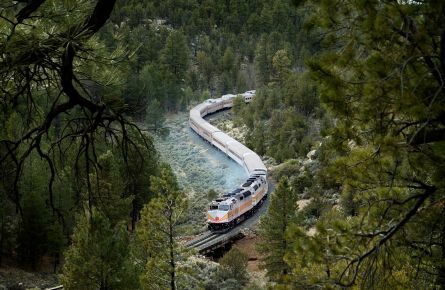 By traveling aboard The Train, guests also help to preserve the pristine beauty of the Grand Canyon by keeping approximately 50,000 cars out of this natural treasure. 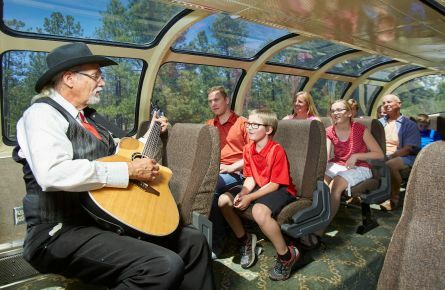 In addition to our daily round-trips to the canyon, we operate special event trains like our Pumpkin Patch Train and our world-famous Polar Express Train. Railway guests can experience the luxury of a bygone era at the 298 room Grand Canyon Railway Hotel located next door to the train depot. We also have an RV park and an on-site Pet Resort.